Cpl. 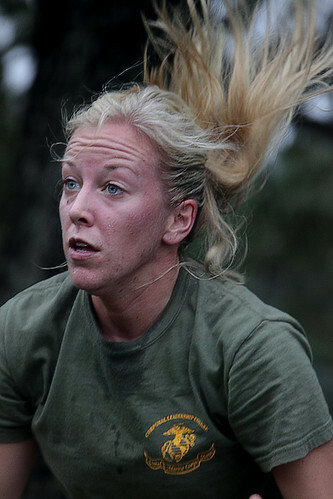 Lisa D. Smith, a student with Cherry Point Corporals Leadership Course Class 274-12, executes burpees during a physical training session at the air station physical fitness test course Aug 29.The last week of the course focused on practical application and combat leadership. During the last week, the corporals drew fire sketch plans, conducted land navigation exercises and wrote a five-paragraph order.